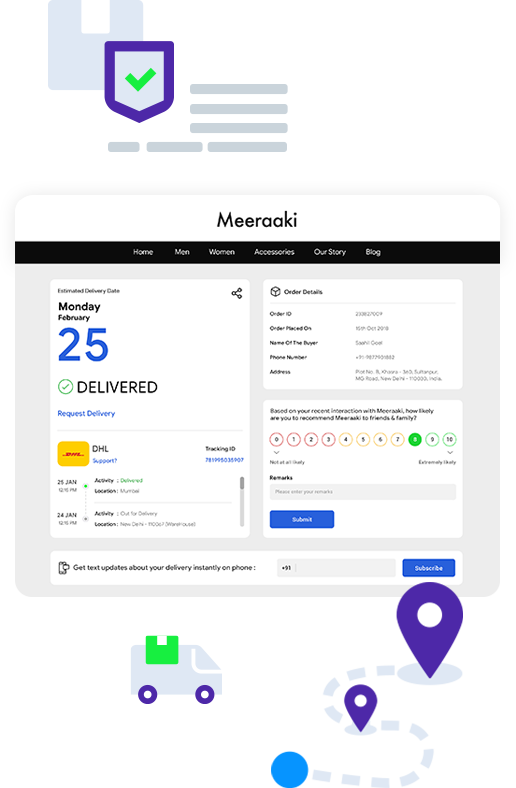 A specialist for eCommerce order fulfillment, they are known to be a fast logistics provider for their prompt service, express deliveries and extensive network. Their service is one of the best and they have a track record of delivering close to 60000+ shipments per day. With Xpressbees and Shiprocket to fulfill your orders, you can avail much more than just shipping. With Shiprocket, ship to 26000+ pin codes and also manage your inventory, labels, order tracking details and many other things. We offer an insurance of upto Rs. 5000 for your lost shipments so you can ship tension free. You pay nothing to utilize the Shiprocket panel. You only pay for courier charges of each shipment.